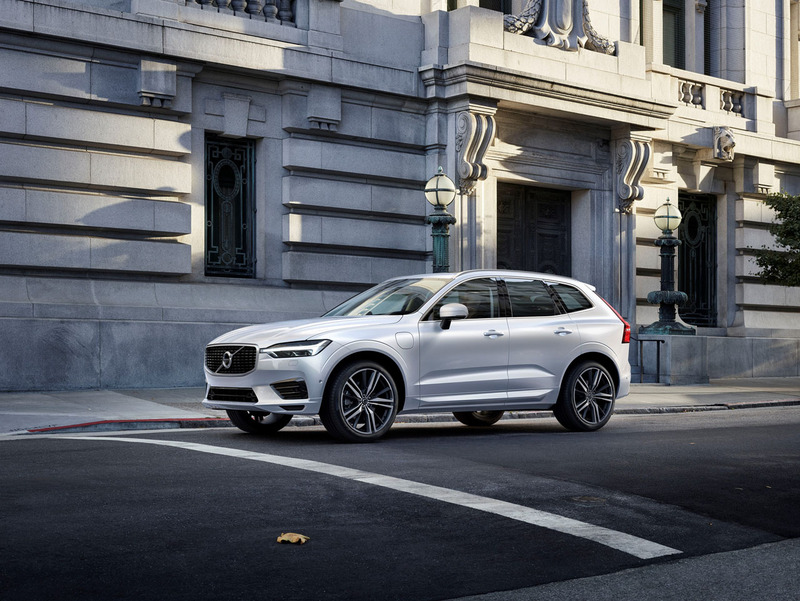 Anyone who follows the car industry wouldn’t have been shocked to see the new 2018 XC60 when Volvo unveiled it at the Geneva auto show on March 7th of this year. 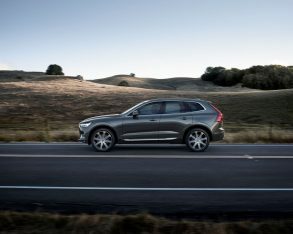 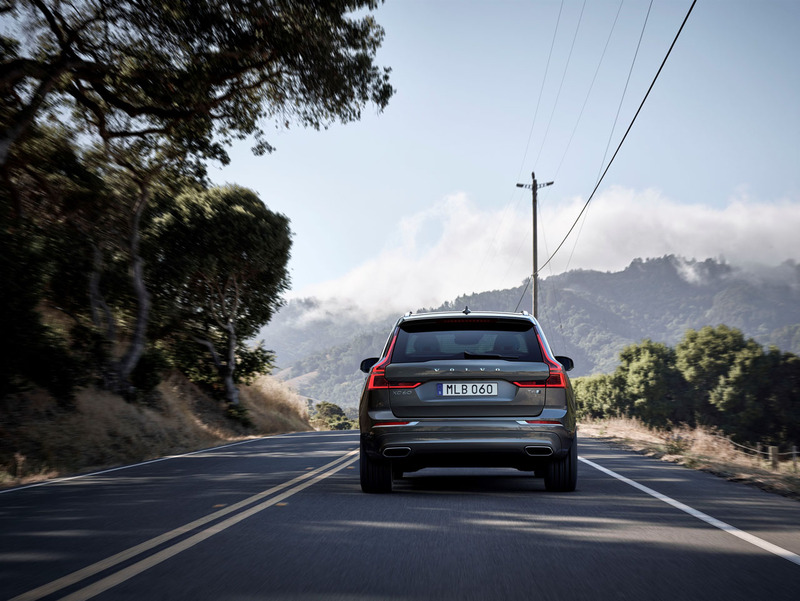 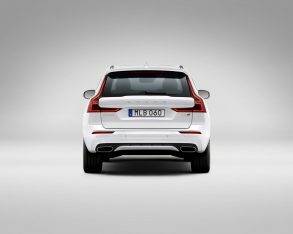 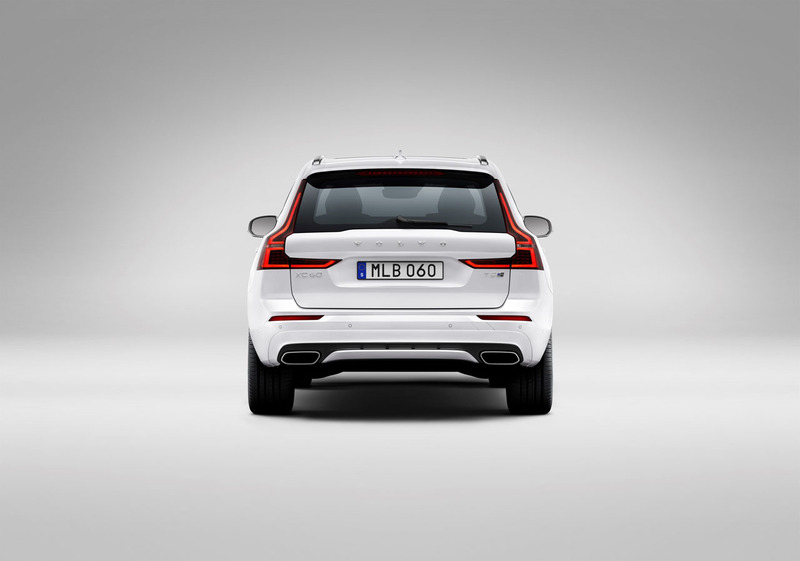 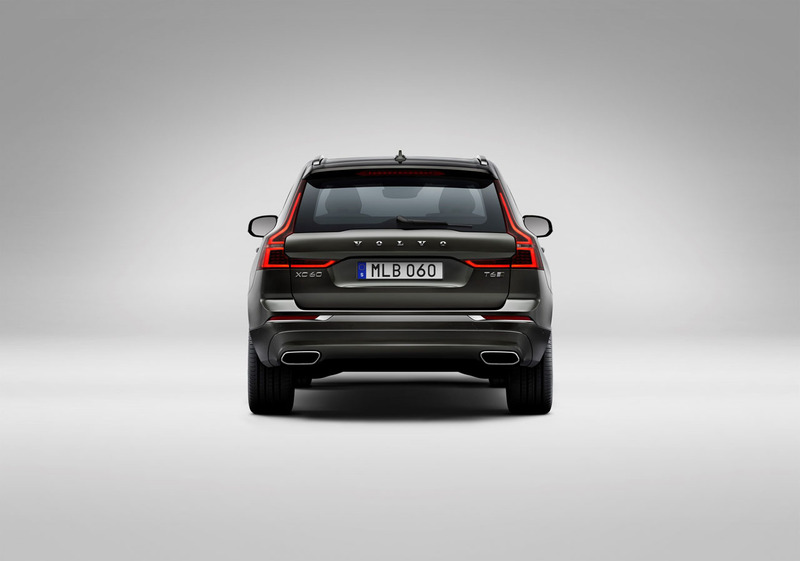 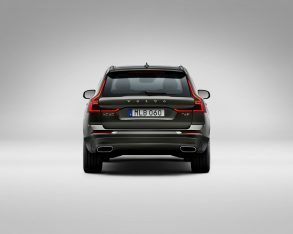 It looked much like we all expected it to, a smaller, sportier variation on the XC90 theme with a little V90 thrown in, a good thing as the former SUV is mostly responsible for returning the Swedish brand to the forefront of the luxury industry. 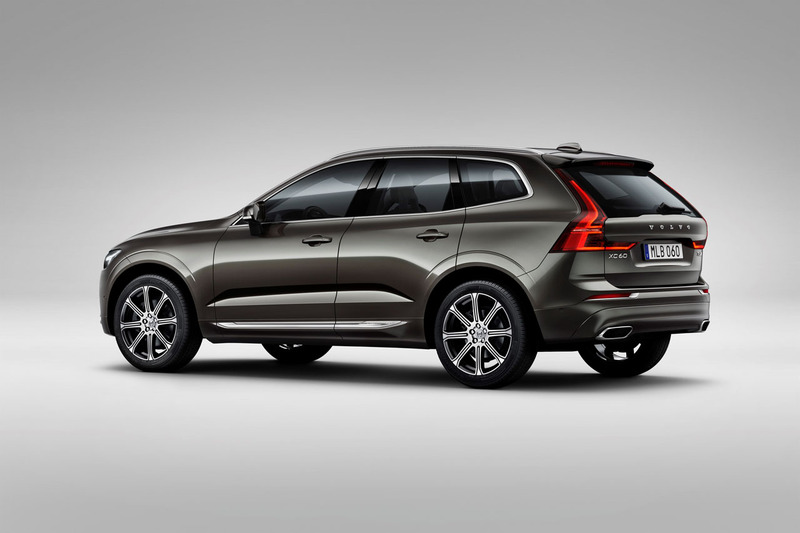 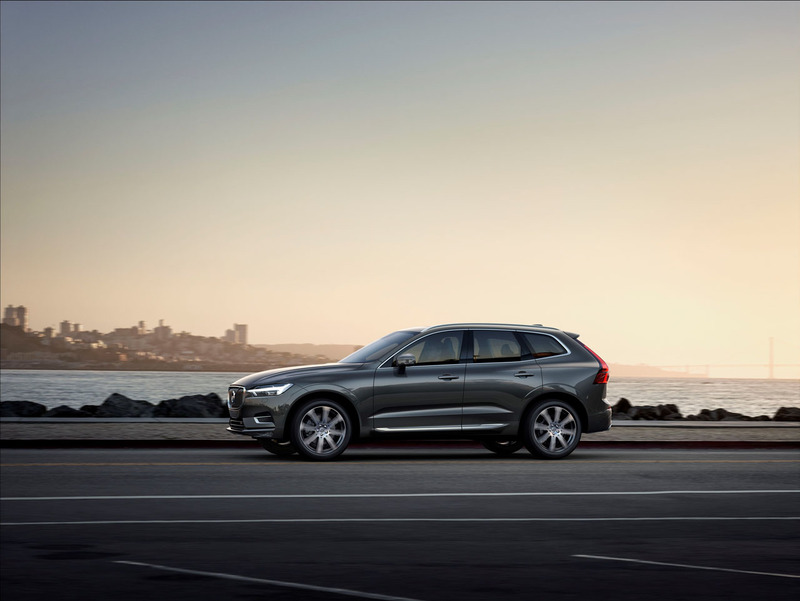 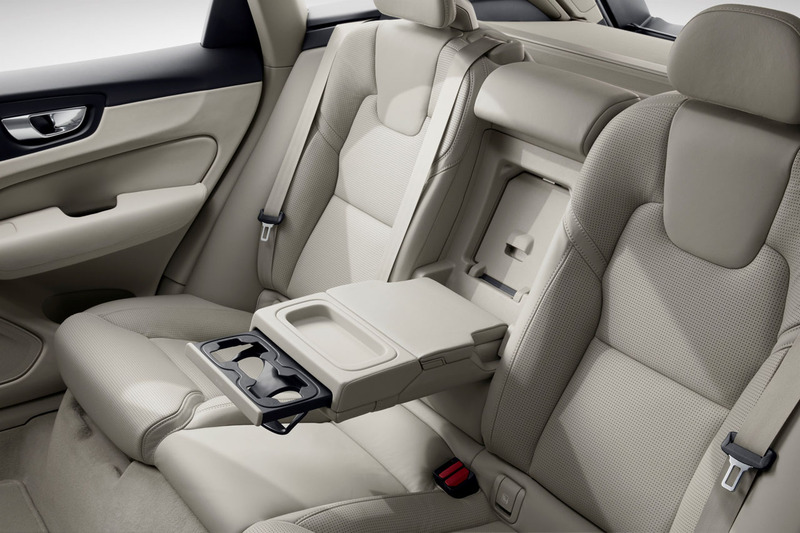 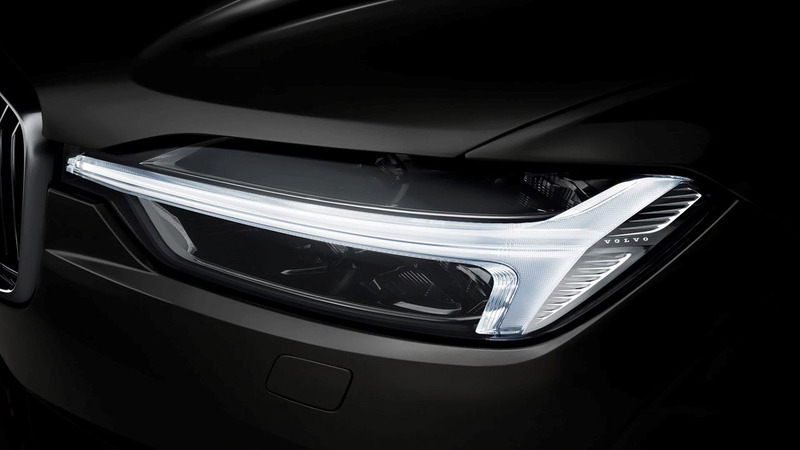 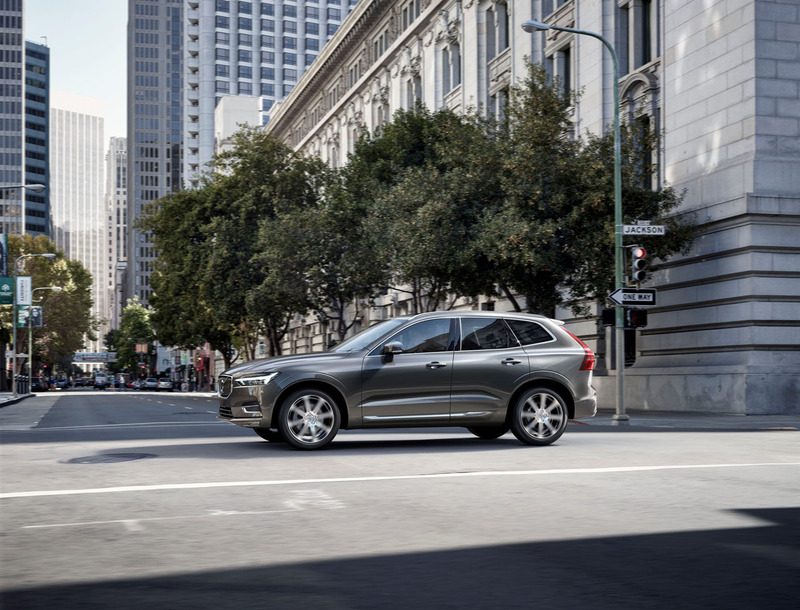 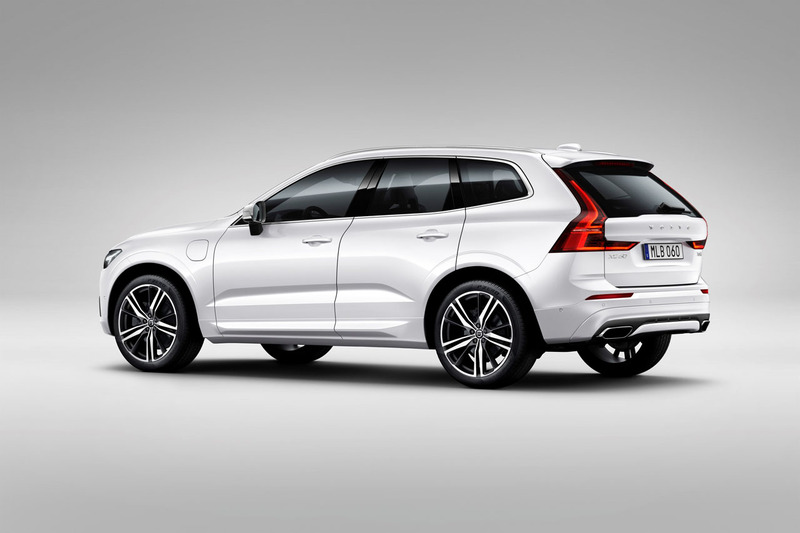 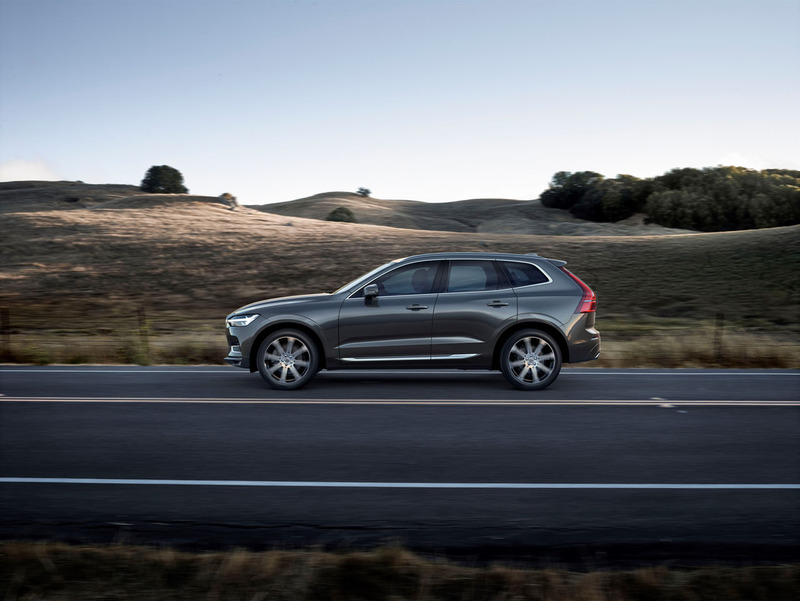 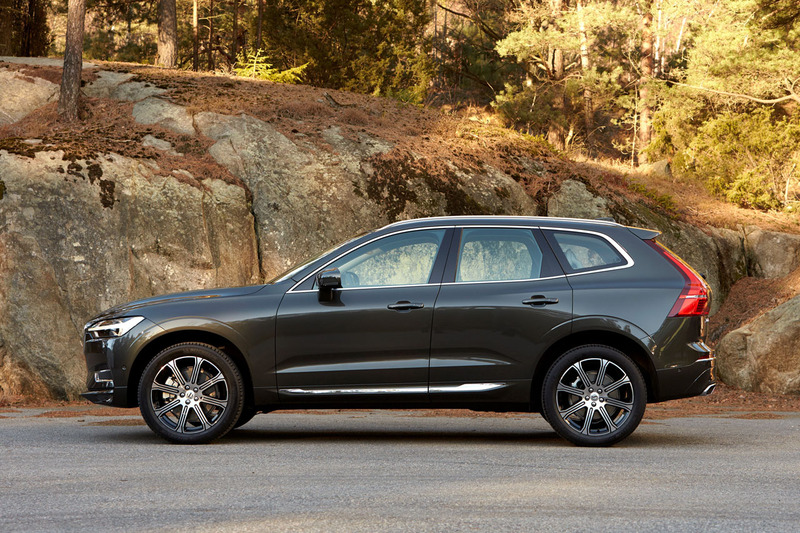 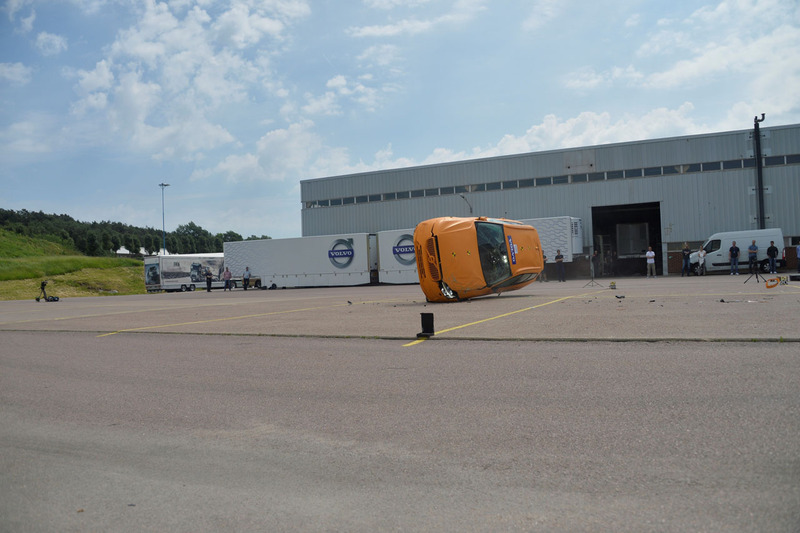 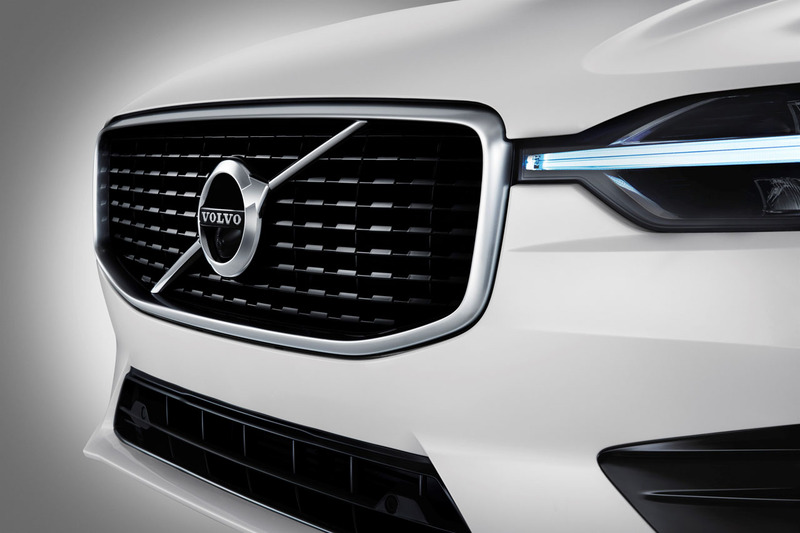 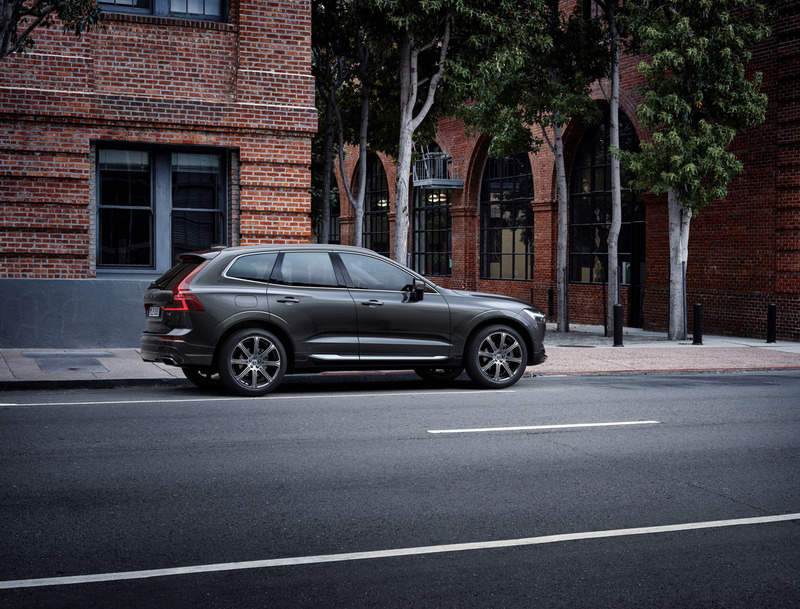 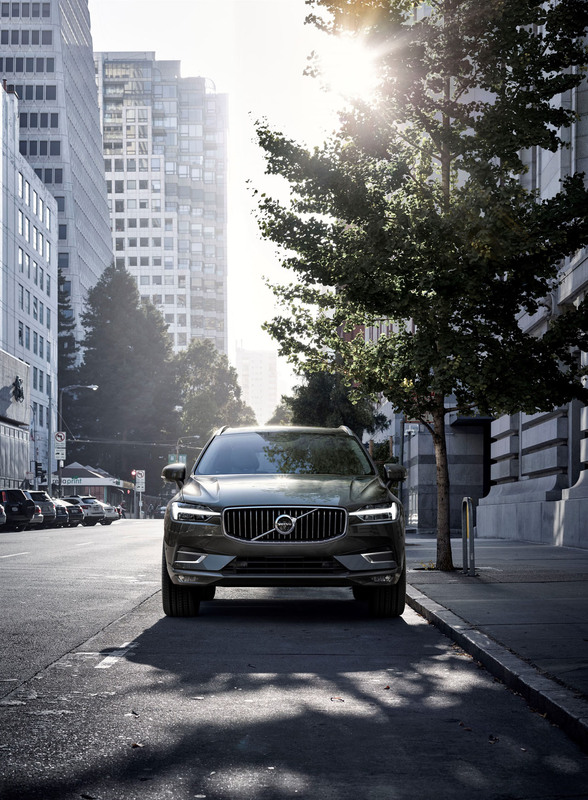 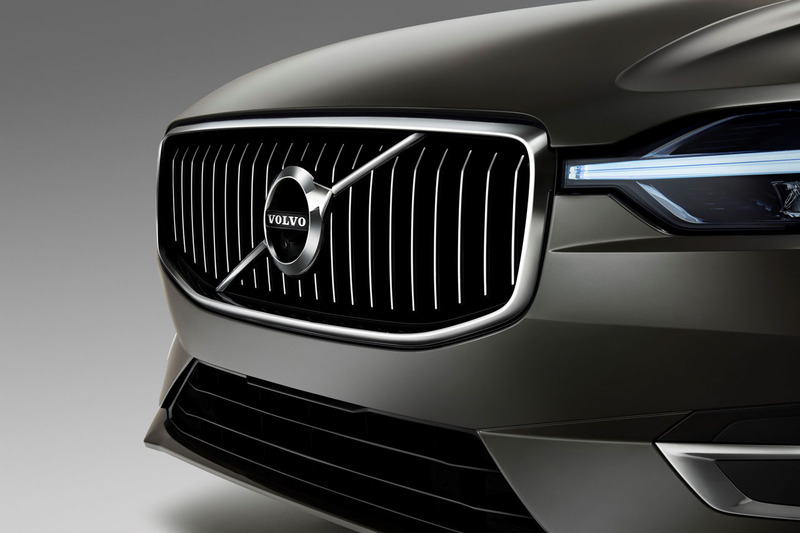 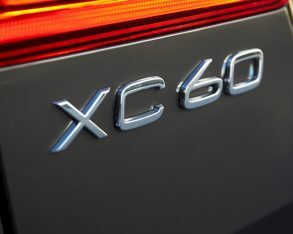 The XC60 is a critically important model for Volvo, representing 30 percent of its worldwide automotive sales. 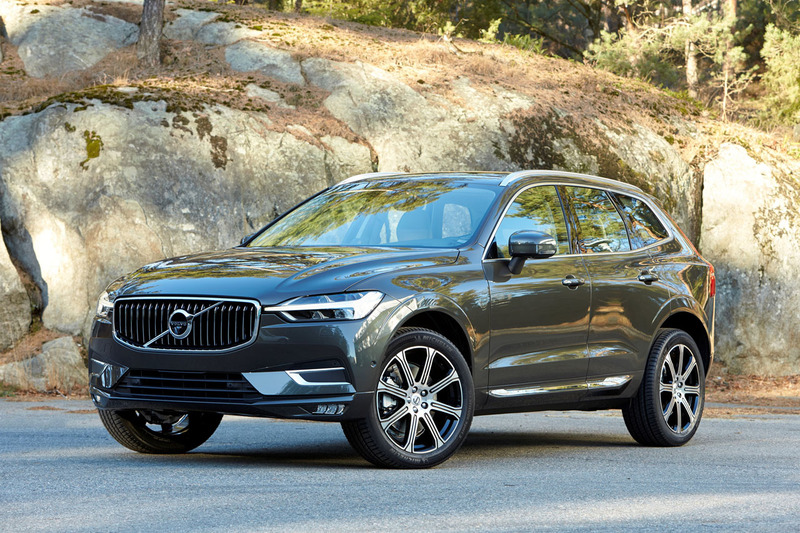 What’s more, the outgoing first-generation XC60 is now nine years into its lifecycle, resulting in slowing sales despite a growing compact luxury SUV market segment, so this totally new 2018 redesign couldn’t come soon enough. 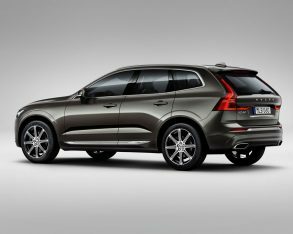 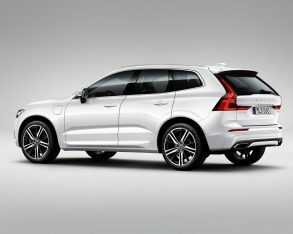 Fortunately we won’t have to wait much longer, as the new 2018 XC60 will start arriving at Canadian Volvo dealers later this month. 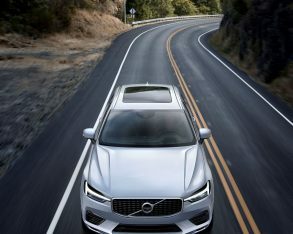 Pricing starts at just $45,900 plus freight and fees for the T5 engine, eight-speed automatic transmission, standard AWD, and base Momentum trim. 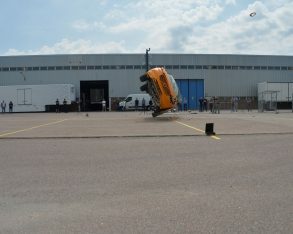 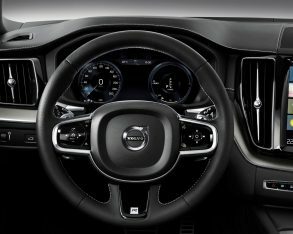 The T5 engine is Volvo’s direct-injection turbocharged 2.0-litre “Drive-E” four-cylinder, making 250 horsepower and 258 lb-ft of torque. 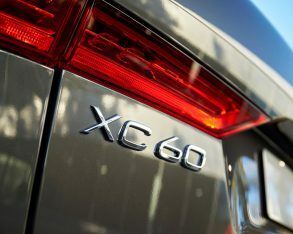 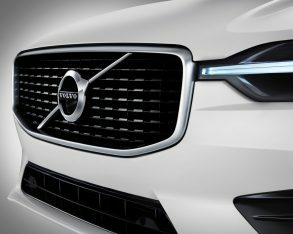 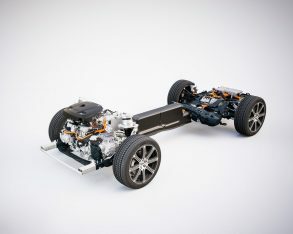 Two optional engines will join the XC60 lineup at launch, including a 316 horsepower (and 295 lb-ft of torque) version of the same four-cylinder in the T6, boosted by a supercharger as well, plus a 400 horsepower T8 variant with 472 lb-ft of torque that includes assistance from the same Twin Power plug-in hybrid technology found in the current XC90 T8. 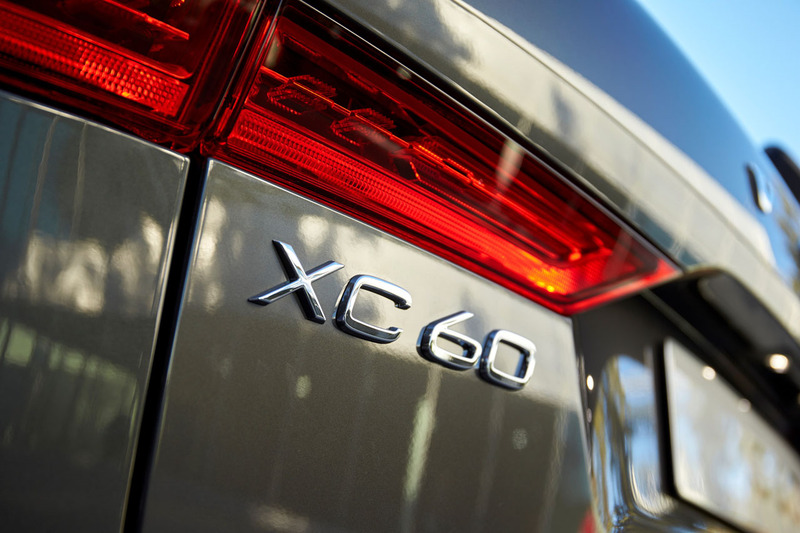 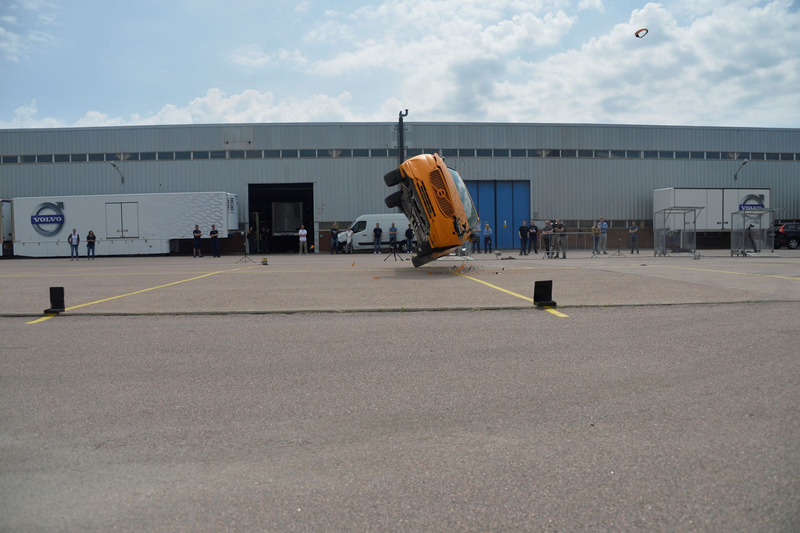 The XC60 T8 is claimed to sprint from zero to 100km/h in just 5.3 seconds. 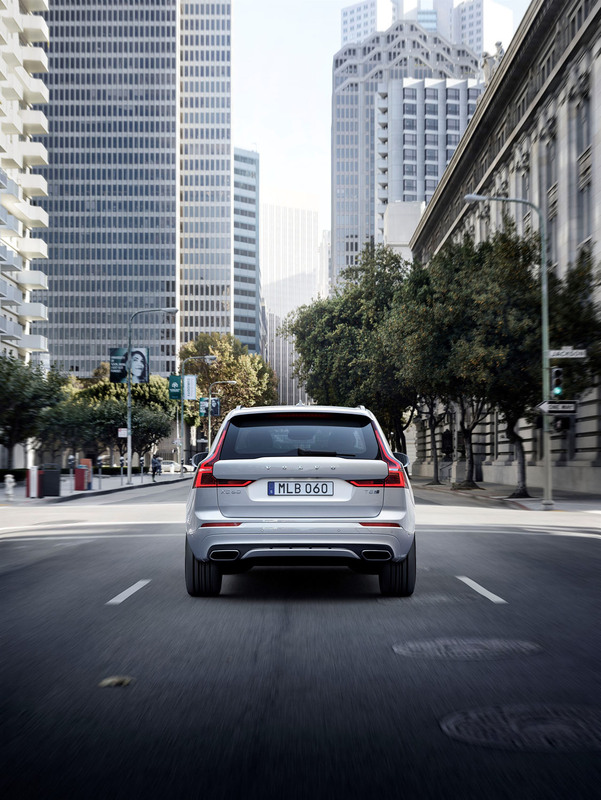 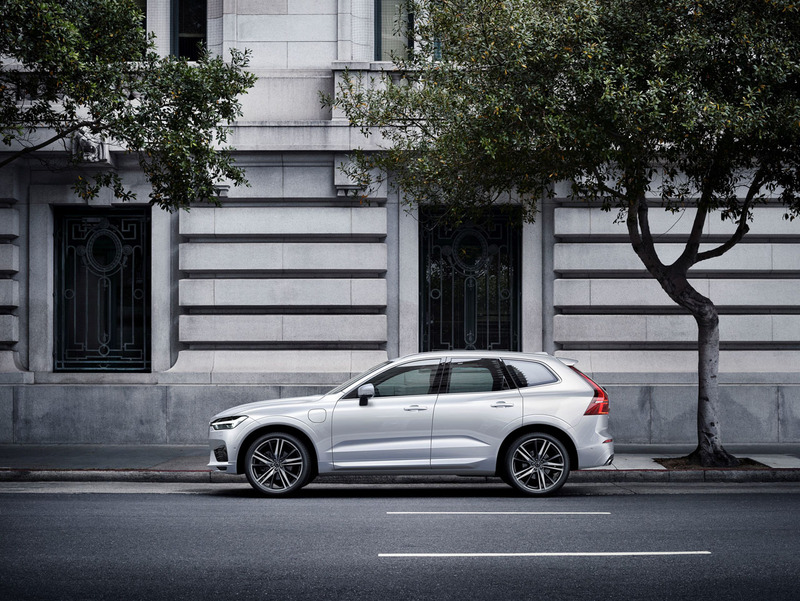 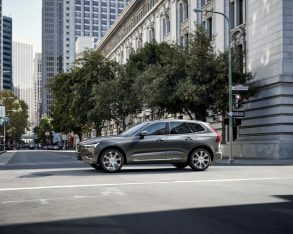 All powertrains are assisted by automated engine start/stop functionality to reduce emissions and save fuel, the technology helping the new 2018 XC60 achieve a five-cycle Transport Canada claimed rating of 10.6 L/100km city and 7.6 highway for the XC60 T5 AWD powertrain, or 11.4 L/100km city and 8.7 highway for the XC60 T6 AWD, albeit no estimate yet for the XC60 T8 eAWD. 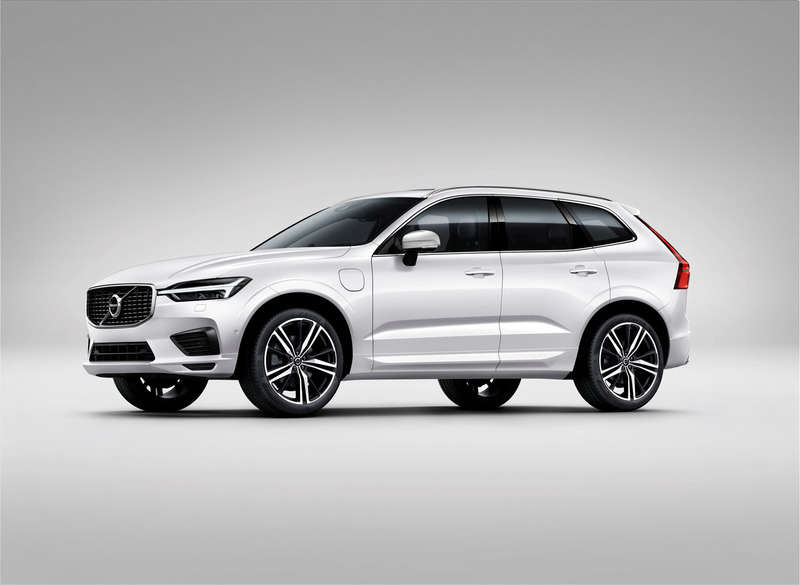 We can guess, however, that the smaller, lighter SUV will be a bit thriftier on fuel than mid-size XC90 T8 eAWD, and that model is rated at 10.1 L/100km in the city, 8.8 on the highway and 9.5 combined. 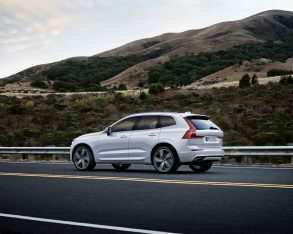 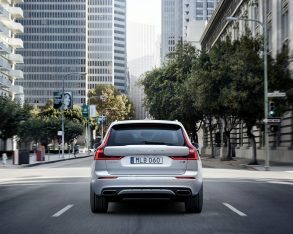 This said, when factoring in regular charging an owner could potentially drive the XC90 T8 eAWD every day without ever needing to fill the gas tank, although its official Le/100km (gasoline litres equivalent per 100 kilometres) rating is more conservatively estimated at 4.7 combined city/highway. 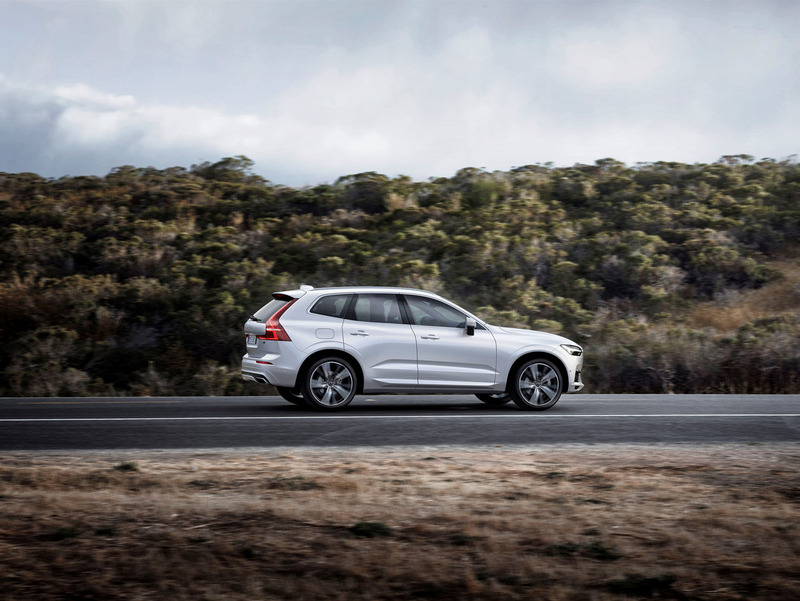 A slightly better rating should be achievable with the new XC60 T8 eAWD. 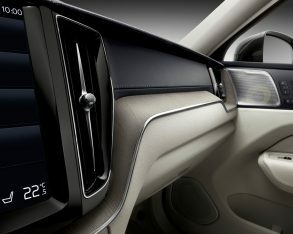 XC60 trims will include Momentum, R-Design and Inscription. 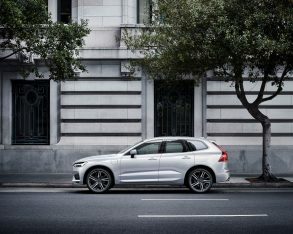 Base Momentum trim is also available with the T6 powertrain for $52,200, whereas the T6 in R-Design and Inscription trims will be priced at $55,450 and $57,050 respectively. 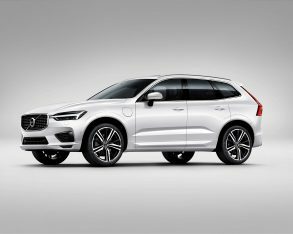 Lastly, the top-tier XC60 T8 will only be available in R-Design and Inscription trims, with MSRPs of $69,550 and $71,150 respectively. 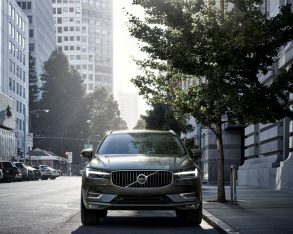 Standard Momentum features include 18-inch 5-Y-Spoke silver alloys on 235/60 all-season tires, LED headlights with integrated “Thor’s Hammer” DRLs, LED taillights, bright metal for the side window surrounds and roof rails, dual chromed tailpipes, metal doorsills with “Volvo” branding, a three-spoke leather-wrapped multifunction steering wheel, a leather-wrapped gear knob, powered and heated front seats with four-way powered lumbar support and driver’s memory, Charcoal black leather upholstery, Iron Ore aluminum inlays, and dual-zone auto climate control with CleanZone that monitors incoming air and closes the intakes if harmful substances are detected, incorporates a multi-ﬁlter to reduce dust, pollen, particles and chemical odours, and automatically ventilates the cabin upon unlocking. 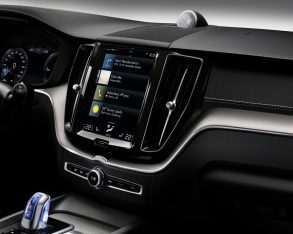 Tech fans will appreciate the new standard 8.0-inch colour TFT instrument cluster, while additional standard features include rain-sensing wipers, an auto-dimming rearview mirror, voice activation, Bluetooth phone and audio streaming, Sensus touchscreen infotainment with Apple CarPlay and Android Auto smartphone integration, a rear parking camera, 224-watt audio, satellite radio, one auxiliary and two USB connections, Volvo On-Call, illuminated vanity mirrors, a powered panoramic sunroof, a powered tailgate, a cargo cover, a metal scuff plate on the cargo sill, and much more. 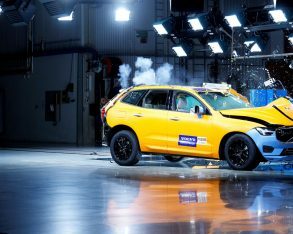 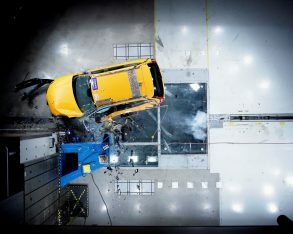 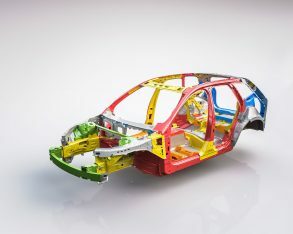 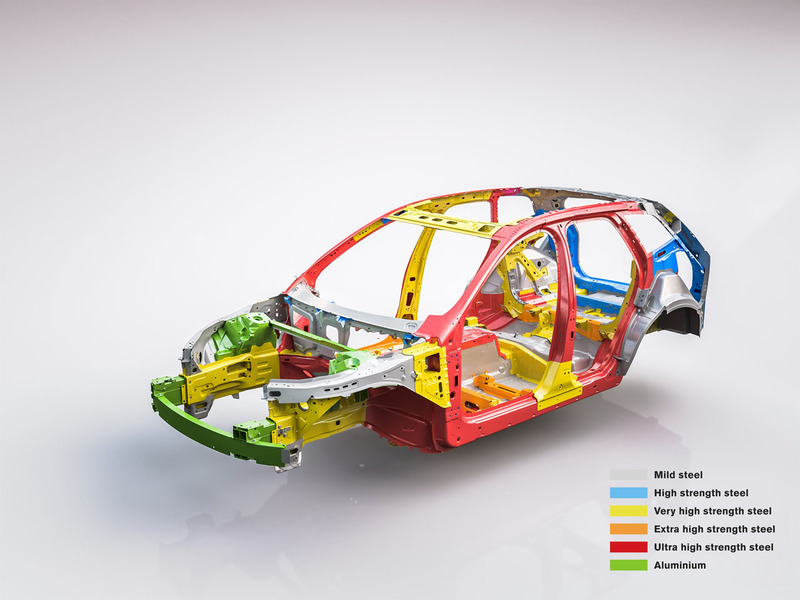 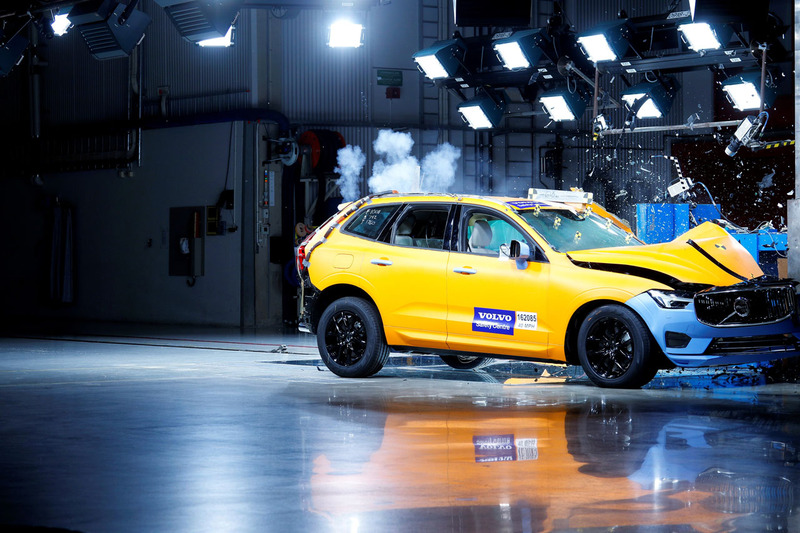 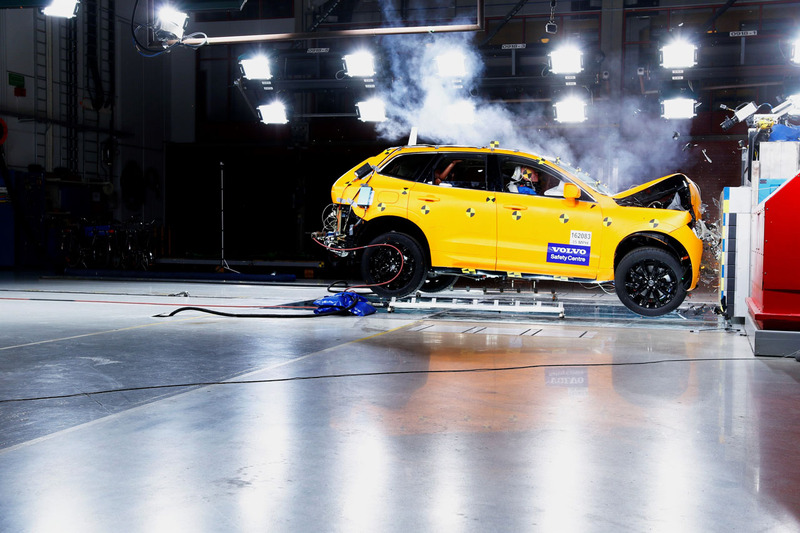 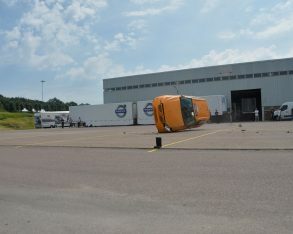 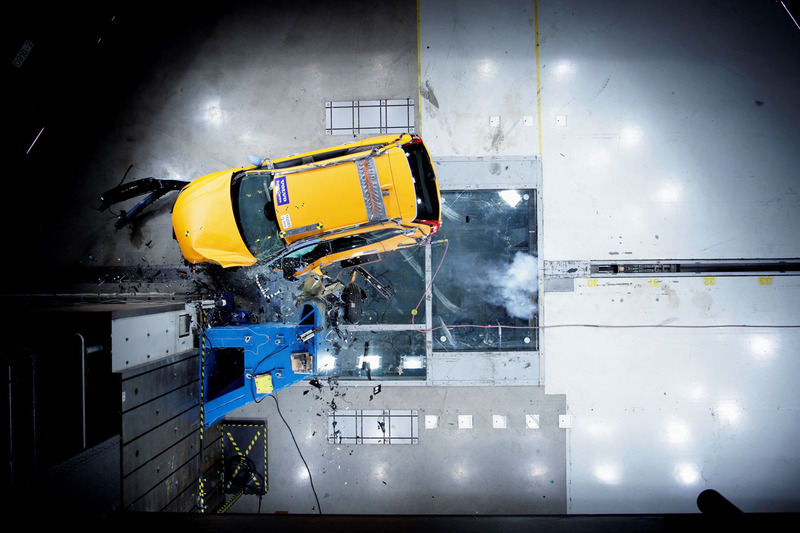 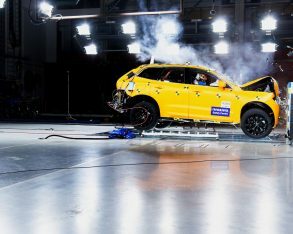 Volvos are renowned for the highest standards of safety, and the XC60 appears to be no different from models’ past with its standard safety equipment including front collision mitigation support (between 60 and 140 km/h), lane keeping assist (between 65 km/h and 200 km/h), front seat whiplash protection, seatbelt pretensioners on all positions, all the usual airbags including one for the driver’s knees, hill start assist, hill descent control, tire pressure monitoring, and more. 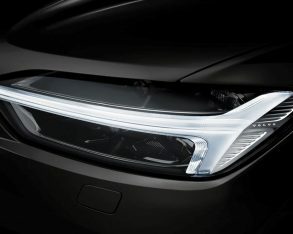 Building on base Momentum models is a multitude of option groups including the $3,100 Momentum Plus package that adds full-LED headlights with auto high beams, dynamic corning ability and high-pressure cleaning, proximity-sensing keyless entry with hands-free tailgate opening, “High-Level” cabin illumination, a 12.3-inch configurable TFT gauge cluster, and four-zone auto HVAC with a cooled glove box; a $1,400 Sport package featuring a performance-tuned suspension, a sport steering wheel with paddle shifters, sport seats with manual cushion extensions, and a black roofliner; $1,350 Climate package with heatable wiper blades, windshield, steering wheel and rear outboard seats; a $2,300 Climate package with HUD, that includes everything from the just noted Climate package plus a head-up display; an $1,800 Vision package with power-folding and auto-dimming side mirrors, a 360-degree Surround View parking camera, blindspot monitoring with rear cross-traffic alert, plus Park Assist Pilot with front and rear parking sensors; and a $2,200 Convenience package with Volvo’s Pilot Assist semi-autonomous Drive System that has the ability to steer, accelerate and brake on well-marked roads up to 130 km/h, adaptive cruise control, a HomeLink universal garage door opener, an integrated compass in the rearview mirror, power-folding rear headrests, and power-folding rear seatbacks. 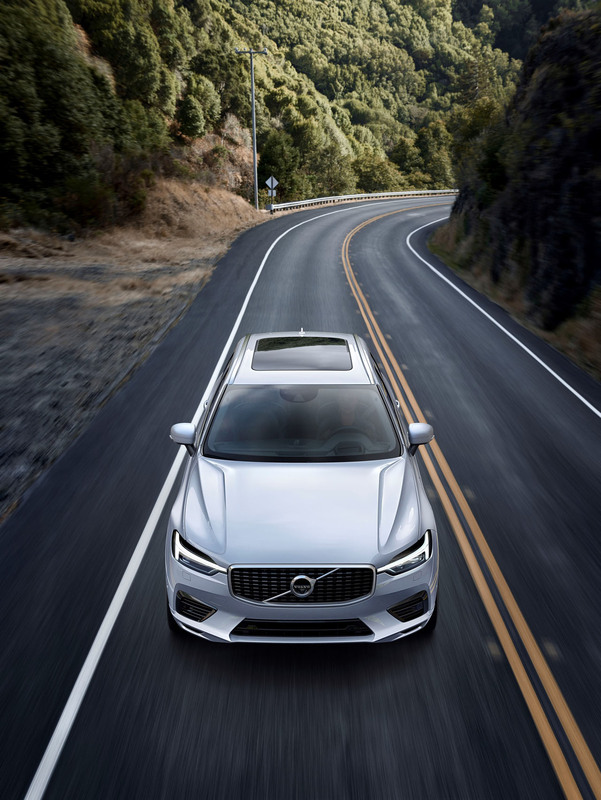 Standalone Momentum options include $900 for metallic paint, $1,000 for 19-inch twinned spoke diamond cut alloys on 235/55 all-season tires (which are standard if opting for the T6 drivetrain), 20-inch twinned five-spoke diamond cut alloys on 255/45 tires (with T6 trim only), no-cost Charcoal black, Amber tan, or Blonde interior colour schemes including upholstery (or Charcoal and Blonde with the Sport package in T6 guise), $1,150 for the aforementioned head-up display (without the package), $3,250 for a 1,100-watt 15-speaker Bowers & Wilkins premium audio system, and exclusively for T6 models a $2,350 4-Corner Air Suspension with a Four-C Active Chassis to improve comfort, handling and off-road capability. 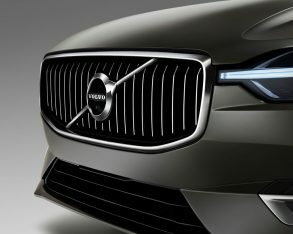 R-Design trim includes unique exterior details such as a horizontal mesh patterned grille insert, brushed aluminum-like silk metal trim around that grille and the side windows, matte silver side mirror housings, sportier looking front and rear lower fascias, and 19-inch twinned five-spoke diamond cut alloys with matte black pockets on 235/55 tires, while the interior gets R-Design doorsill plates, R-Design floor mats, a special perforated leather-wrapped R-Design sport steering wheel with paddle shifters, perforated leather on the shift knob, metal pedals, unique Metal Mesh inlays, a black headliner, Nubuck R-Design Charcoal black leather upholstery with contrast stitching, special sport seats with manual front cushion extensions, and more. 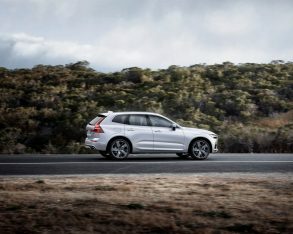 Additional standard R-Design kit includes everything from the previous Momentum package plus fog lamps, illuminated door handles with puddle lights, proximity-sensing keyless entry with hands-free tailgate opening, road sign info, personal steering settings with low, medium or high assistance, four-zone auto HVAC with a cooled glove box, Sensus Navigation with real time traffic info, rear parking assist, netted pockets on the transmission tunnel, active noise control with engine/exhaust sound enhancement, and more. 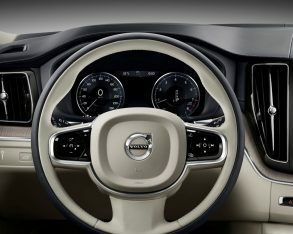 Due to the R-Design model’s increased standard content, available option groups are limited to the Climate package, Climate package with HUD, Vision package, Convenience package, plus a new $1,500 Tailored Dashboard package featuring a full leather covered instrument panel with contrast stitching and a 12-volt charger in the cargo area, while standalone options include the same $900 for metallic paint, $1,000 for unique 21-inch triple-spoke diamond cut alloys with black painted pockets on 255/40 performance tires, and the previously noted 4-Corner Air Suspension. 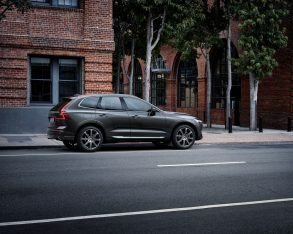 Lastly, Inscription trim takes a more traditional luxury approach to the XC60’s look and feel and therefore does away with the R-Design’s sportier styling and performance enhancements, but it keeps all the other upgrades while adding a unique grille insert with bright metal vertical slats, 20-inch eight-spoke diamond cut alloys with black painted pockets on 255/45 tires, driver-selectable Comfort, Eco, Dynamic, Off-Road and Individual “Drive-Mode” settings for adjusting powertrain and steering characteristics, perforated Nappa Leather upholstery in all the colours noted previously as well as Maroon Brown, powered front seat bolsters and extensions, ventilated front seats, front passenger seat memory, Driftwood grey hardwood inlays, the Tailored Dashboard instrument panel upgrade, and more. 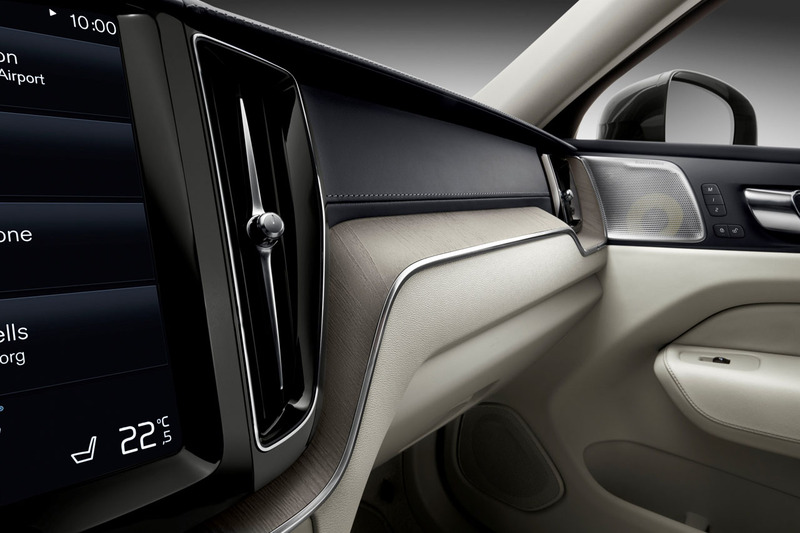 Inscription trim gets the same four packages and three standalone options as the R-Design, while adding available $425 Linear Lime hardwood inlays to the latter list. 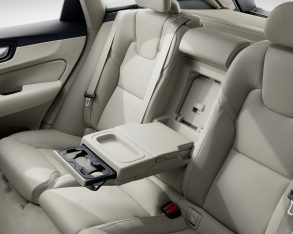 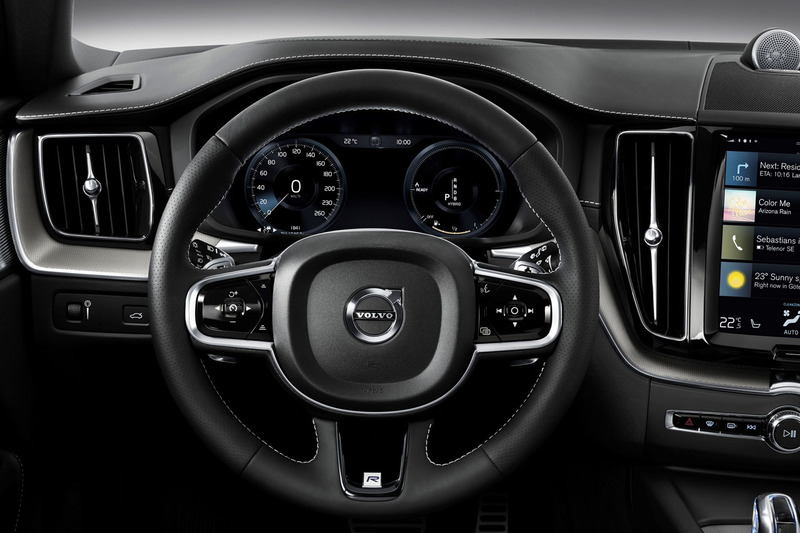 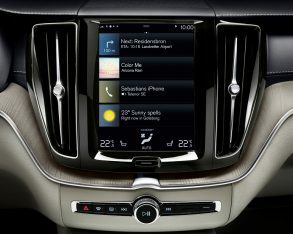 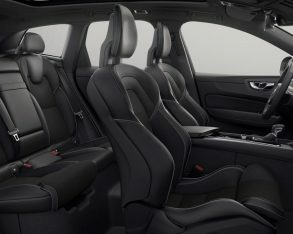 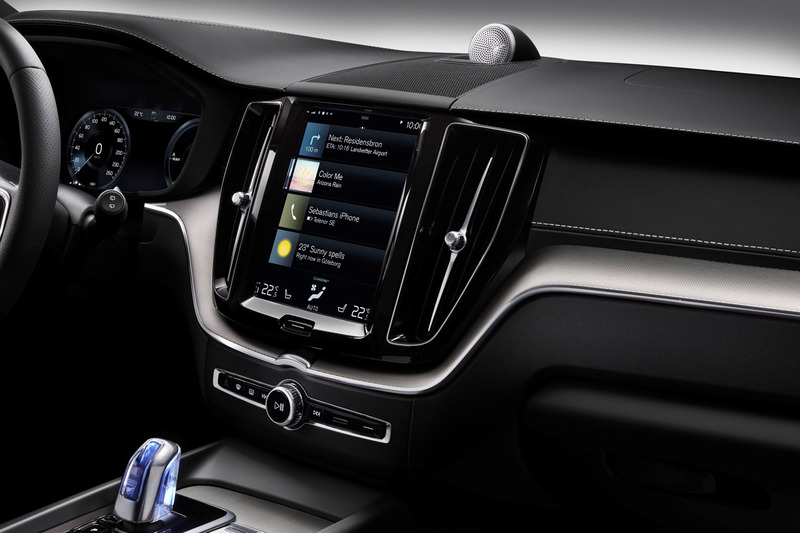 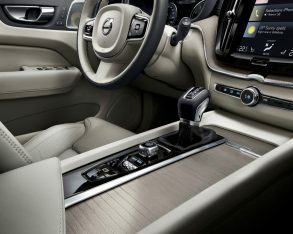 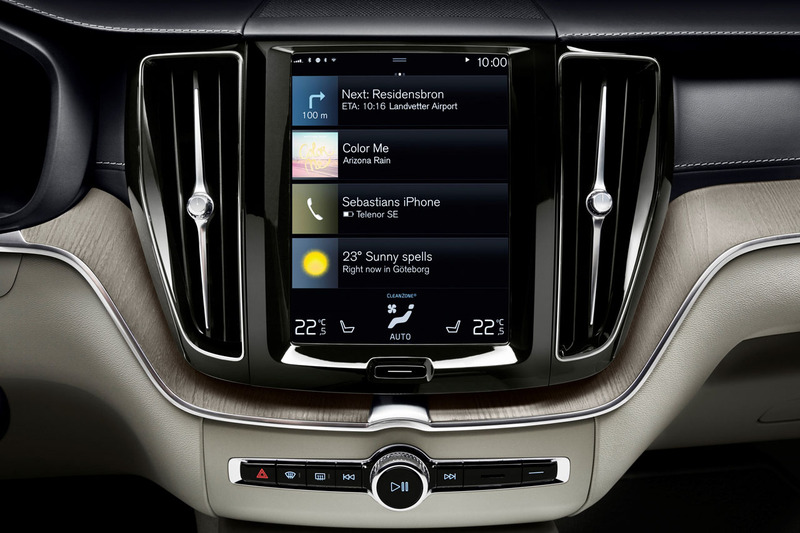 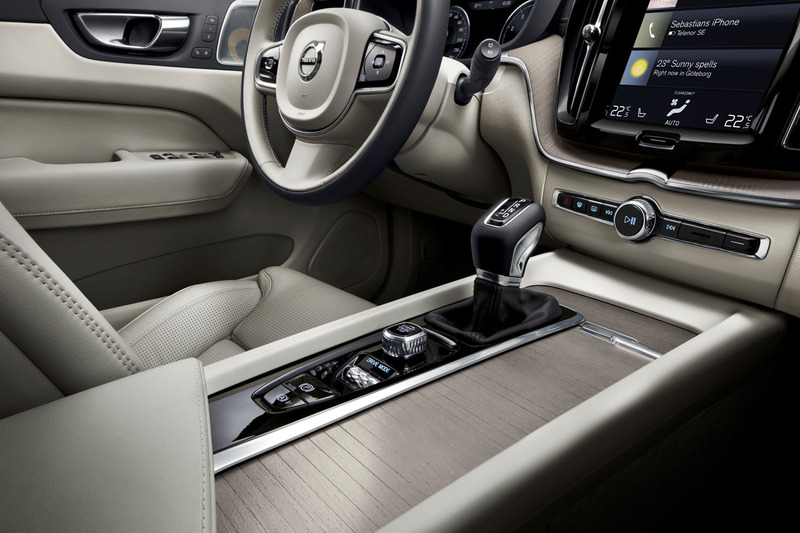 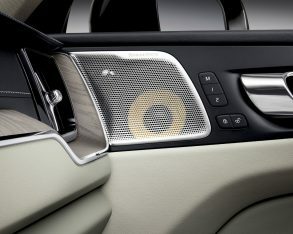 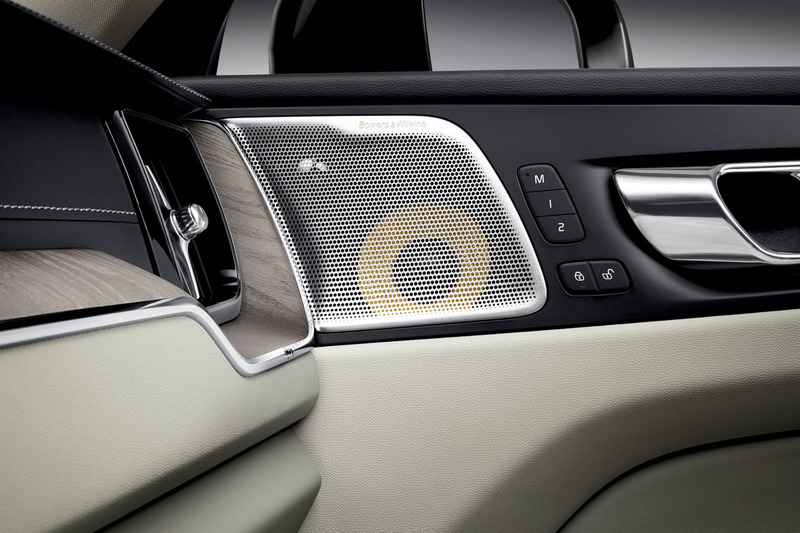 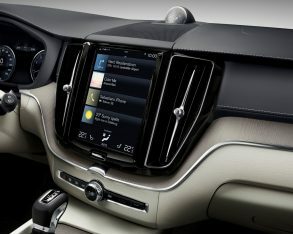 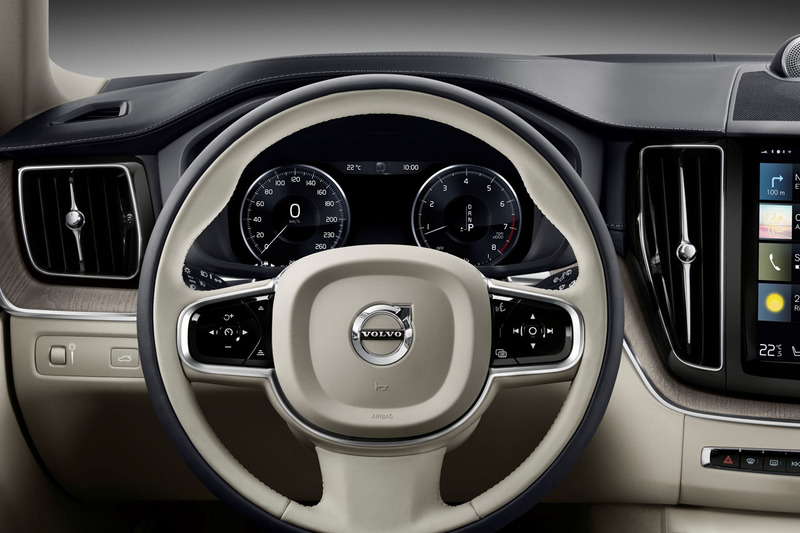 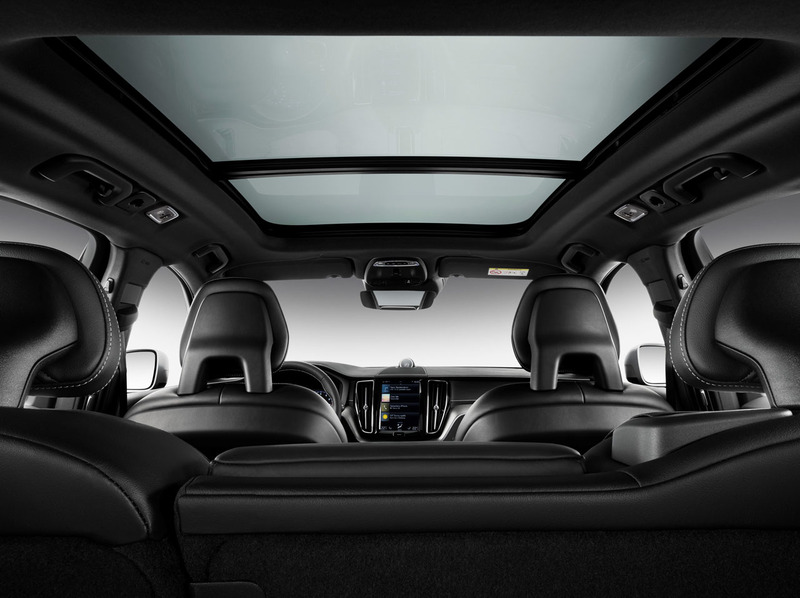 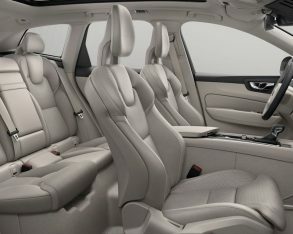 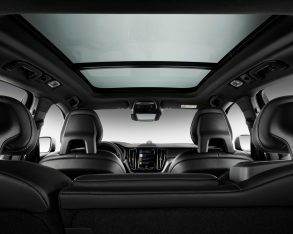 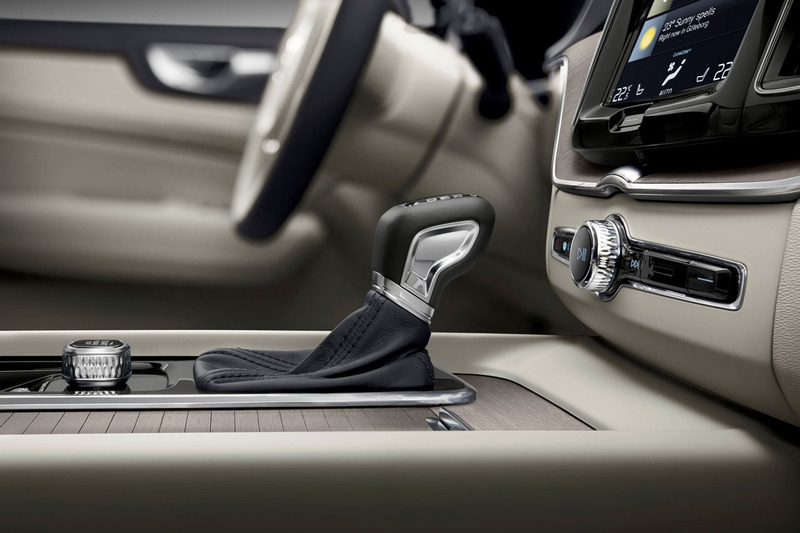 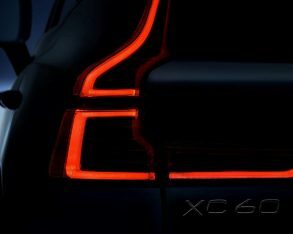 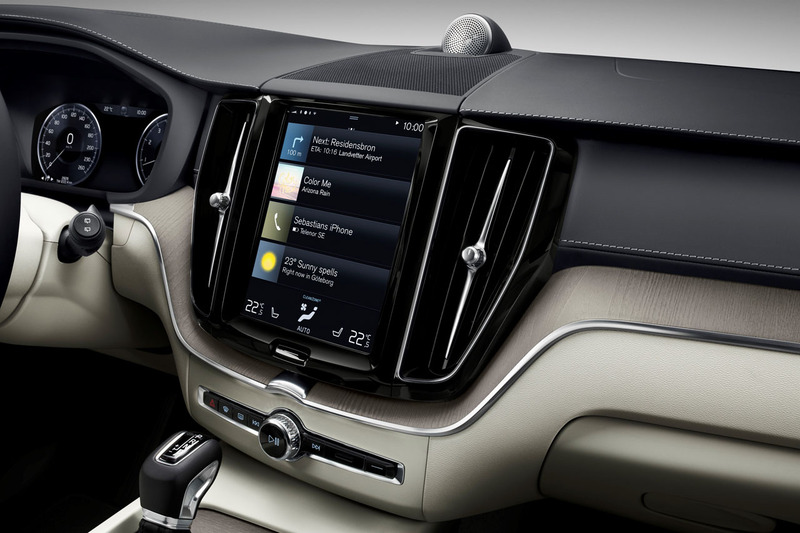 The new XC60 appears to incorporate the same elevated attention to detail and excellent materials quality inside as the XC90, its two-tone leather-wrapped steering wheel, metal and open pore hardwood inlays, finely crafted metal-adorned switchgear, and superb digital interfaces of particular note. 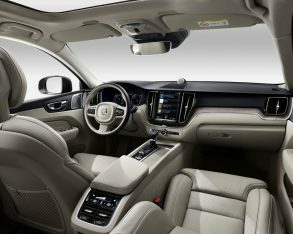 The XC90 won almost every award it possibly could have in its first two years, which certainly bodes well for the new 2018 XC60. 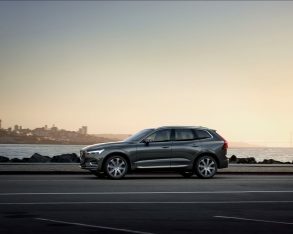 Expect Canadian XC60 sales to improve dramatically starting this fall, likely on a similar trajectory to the XC90 that only found 427 buyers in 2014, the final full year of its old body style, yet improved to 957 customers during 2015 when the new XC90 was introduced partway through the year, and finally 2,951 after its first full year of 2016. 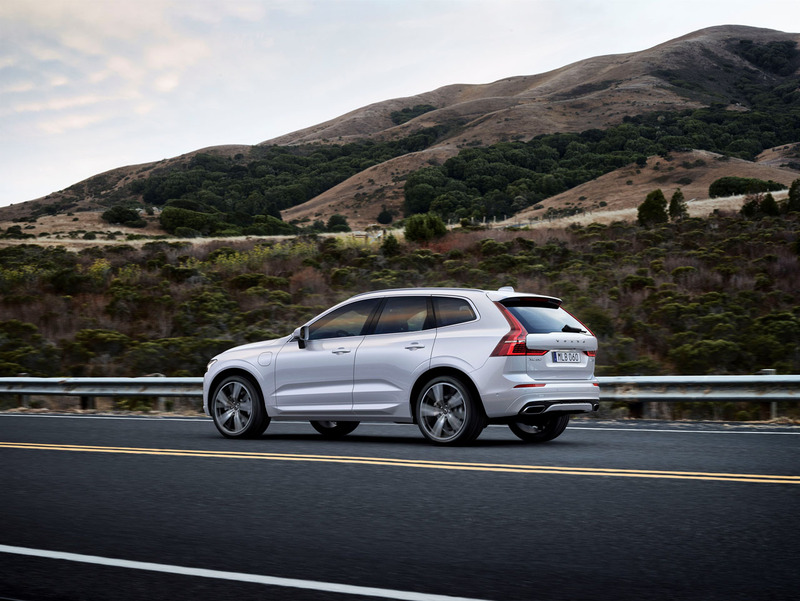 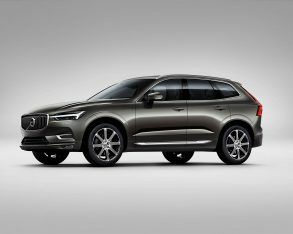 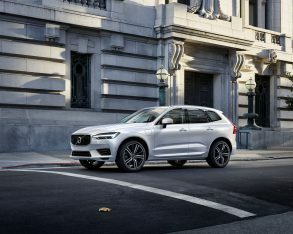 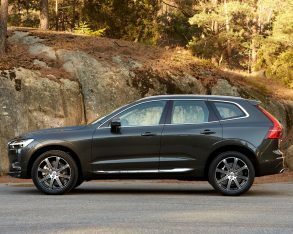 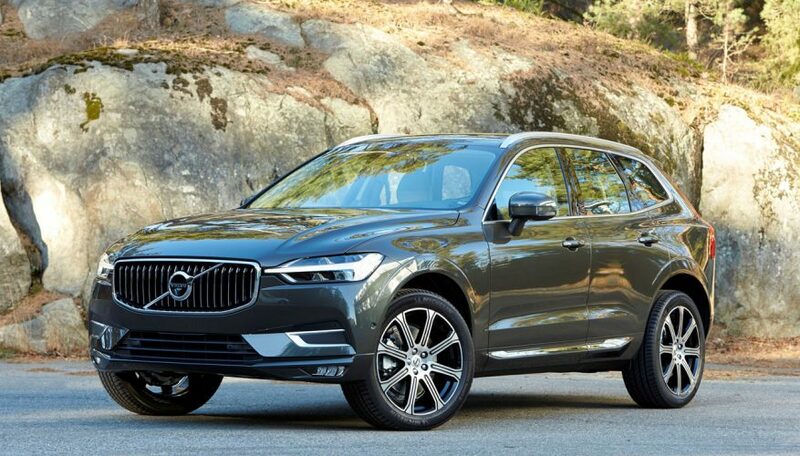 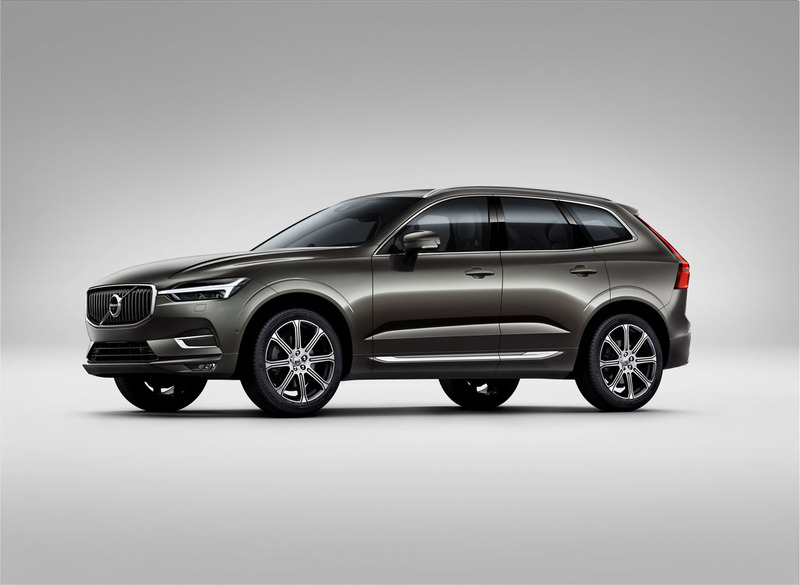 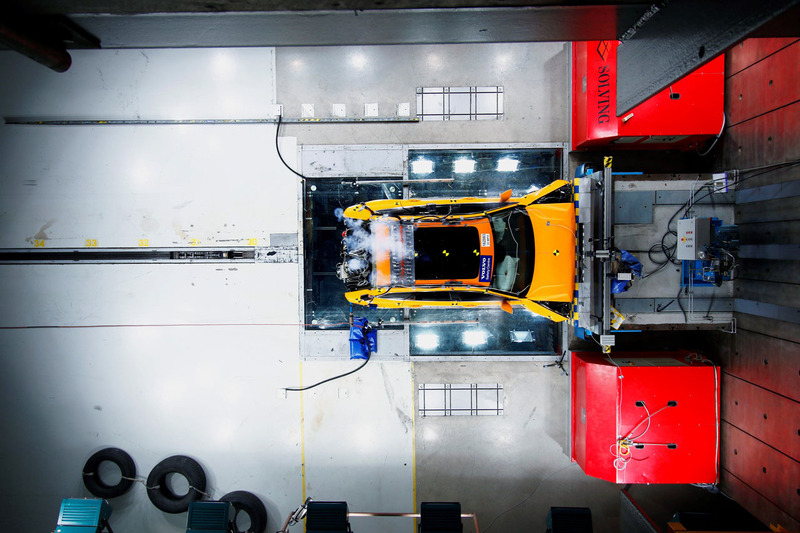 In comparison, Volvo Canada sold 1,526 XC60s last year, which is more than three times the XC90’s pre-makeover unit sales, so therefore deliveries could potentially grow to the 4,000–5,000 unit range, which would still find it below its Audi Q5, Acura RDX, BMW X3 and Mercedes-Benz GLC competitors, but result in a massive turnaround for the previously embattled Swedish brand.